Home / Unlabelled / Veteran Actor Shammi Kapoor is no more. Veteran Bollywood actor Shammi Kapoor 79 died here Sunday morning, family sources said. He was 79. A member of the famed Kapoor family, the actor passed away at the Breach Candy Hospital at 5 a.m. He was admitted to the hospital a week ago for renal failure. He was the second of three sons born to the iconic Prithviraj Kapoor. 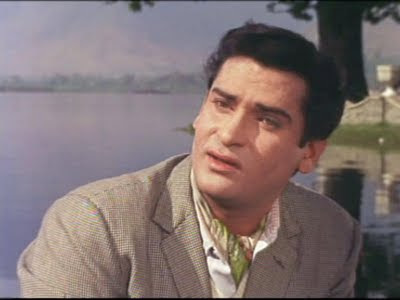 His equally versatile actor brothers were Raj Kapoor and Shashi Kapoor.Shammi Kapoor joined the cinema world in 1948 as a junior artist for Rs.150 a month. His debut in Bollywood came in 1953 with the film "Jeevan Jyoti". In a career that stretched into the 1970s, the tall, athletic and green-eyed hero starred in numerous hits, including "An Evening in Paris", "China Town", "Kashmir Ki Kali", "Janwar" and "Junglee".Sharmila Tagore and Asha Parekh were his leading heroines, the latter teaming up with him for his spectacular murder mystery of 1966, "Teesri Manzil". If Amitabh Bachchan has tweeted saying, "The flamboyance and joie de vivre of the Industry lost! ", director Madhur Bhandarkar has posted on the microblogging site "Sad to hear the demise of Shammiji,the YAHOO of Indian Cinema. Ur charmful exuberance & full of life style (cont)".Karan Johar reminisces, "One of finest and strongest men I knew...we will truly miss you shammi uncle." Shekhar Kapur, on his part, has written, "The great iconic Shammi Kapoor who defined an era n influenced music, dance n song even today has passed away, leaving a hollow void." Farhan Akhtar recalls: "Mr. Shammi Kapoor. Never before - Never again. Thank you for the wonderful cinematic memories and life lessons." Mahesh Bhatt asserts that the actor's legacy will continue to live on. "The narrative of Shammi Kapoor will not end with his passing away. His movies will continue to enchant the future generations!" the director posted. The younger breed of stars too have expressed their sorrow. Ritiesh Deshmukh has tweeted, "The most stylish actor ever we love you n we will miss you", while Madhavan has summed up the loss with the words: "End of a legend". Deepika Padukone has written, "He was an inspiration not just for his style and the films he did,but also his attitude towards life...we will miss you Shammi uncle", while Priyanka Chopra has posted, "sometimes no amount of kind words can compensate for a loss! bhole baba ki jai shammi maharajji.. he was our guruji..im at a loss". Composer Vishal Dadlani has touched upon the maverick actor's unique dancing style through the post: "You danced like nobody was watching." Heart Felt Condolences from Adipolipic to the Legend of Bollywood movies.